If you’re in need of a fun way to earn money, there’s a fast-growing niche emerging in the fashion world—apparel resale. 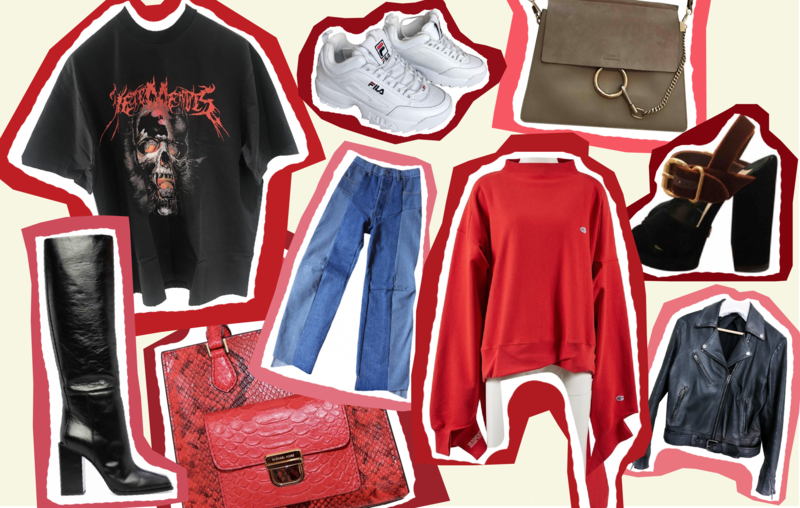 Apparel resale involves finding items for a lower price and reselling them for a profit, often on media platforms like Poshmark or eBay– and it’s never been bigger. Resale company ThredUp estimates it to reach $41 billion by 2022, and it’s growing 24 times faster than retail. About $20 billion, or 49 percent of the market, comes from apparel resale. Long story short—it’s the perfect time to jump into this market. But where do you start? Dissatisfaction with Plato’s Closet was the beginning for Samantha Kavander, a senior nutrition major, who then looked online for other resale options. Kavander started her business in December 2017, and since then, she estimates she’s made around $5,000. She’s also expanded to Poshmark and created a YouTube channel and thrift Instagram. The little details are what Kavander thinks push her shop past the competition. “I have business cards, cute wrapping and postage…I take pride in what I do, and I think that’s why people come back and buy from me,” she says. Another reseller, Shyleen Connalley, made reselling her full-time job this past May. A degree in fashion merchandising along with a job at resale retailer Clothes Mentor helped her get into the business in October 2017. But how does reselling even work? There are millions of users on Poshmark, so once Connalley posts an item, buyers and sellers can all it. Connalley recommends starting off simply by browsing through your own closet. Once you sell those, you can take that money and start sourcing for more inventory. After that, head on to local thrift stores, yard sales, and retailers like TJ Maxx and Burlington. All of Connalley’s items can be found in her Poshmark closet, @shawns_wardrobe, and her Mercari closet. She also shows off her items on her resale Instagram and YouTube channel, which has helped her make sales from her followers. Brands Connalley prefers to buy and resell include Eileen Fisher, Lulus, Tularosa, and Madewell. Eileen Fisher, for example, can be expensive, but the garments are high quality, so people are willing to pay for them secondhand. Plus-size clothing, like Torrid, tends to go fast. Reselling isn’t easy money. It’s an art, as Connalley calls it, and takes hard work.